Over the past couple of days DC Comics’ Film and Television projects have been busy confirming new casting reports. The Suicide Squad movie has gotten another character, The Flash/Arrow spin-off show gets two new members, and a popular DC Comic actor is lending his talents to another comic book film. Starting with the Suicide Squad film, Adewale Akinnuoye-Agbaje has been cast as Killer Croc, the popular Batman enemy. Adewale is notable for having played Mr. Eko on Lost and Kurse in Thor: The Dark World. 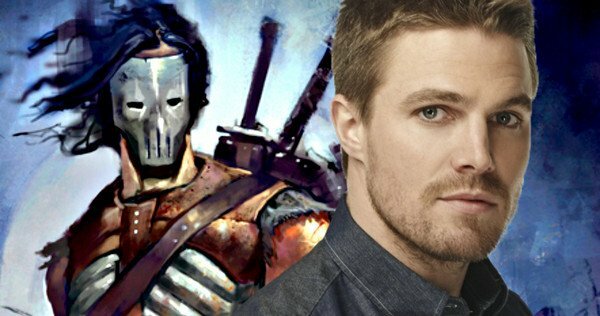 Finally, wrapping up with news surrounding Arrow, lead actor Stephen Amell has been cast as Casey Jones in Teenage Mutant Ninja Turtles 2. Casey Jones is the popular hockey-stick and hockey-mask wielding character from the almost every past TMNT series. Amell is joining returning stars Megan Fox as April O’Niel and Will Arnett as Vernon Fenwick.